Updated Tuesday December 19, 2017 by SMP. 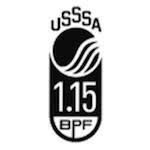 2018 Bat Requirements: SMP and GBBA will not adopt the new USA Bat Standard that is effective January 1, 2018. Just like last year, any unaltered bat with a 1.15 stamp will be allowed. We will revisit the standard for 2019 in the latter part of 2018.